Melbourne loves it's food: wine and dine events, dinners, lunches, cooking classes, workshops, food festivals, wine tastings, bar & restaurant openings! Plate Up Ballarat is an exciting month-long event celebrating Ballarat's wonderful food offerings, craft beers, boutique wines and a whole lot more. Taking place throughout the month of May 2019, ..
Melbourne is a mecca for food with an eating culture bordering on the obsessive. But many of these best places are hidden from first sight in laneways and behind doors. This 3 hour small group .. Celebrate World Gin Day with The Gin Queen. Joining her will be distillers from Poor Toms, Brogan's Way, Big Tree, Melbourne Gin Company and Adelaide Hills. You'll enjoy 5 courses created by Cu ..
Dumplings are one of the true taste delights from the far east - on this tour you'll get to enjoy them at their most delicious by visiting some of Melbourne's best spots. On this Melbourne dumplin .. The Ultimate Beer, Food & Steam Train Experience Indulge as you are taken into a world of decadence.... first class style.... in 1920's era club and parlour carriages As your steam train take ..
Aqua Donut is a floating barbecue station to enable a unique DIY dining experience as you cruise along the picturesque waters of the Docklands. Aqua Donuts feature a gas BBQ station surrounded by s .. The Albion Rooftop | Sunday's Our Asian-inspired bottomless lunch is the perfect way to kick-start your Sunday session this Autumn on Melbourne's hottest rooftop bar. For $50pp you'll enjoy one ..
A FREE fabulous fun foodie event for the whole family. The event encompasses the farm stalls in the Avenue of Honour, The Village Green and the main shopping precinct. The annual Strawberries & ..
April 20th, 2019 Ballarat 18+ 6 VENUES | 12 BREWERIES | 6 WINERIES This Easter Saturday you can work your way through 6 of Ballarat’s favourite venues who will be featuring 12 of Ballarat an ..
Bar Schweppes will be adding their touch of schweppervescence to the Garden State Hotel beer garden bar this April. From the Wednesday 5th, we'll be serving a selection of delicious botanical cockt ..
Melbourne's fave boozy brunch is back and it's even bigger than the last! Easey's have moved in and taken over our kitchen so it only makes sense to team up and create one epic Bottomless Cocktail ..
Bottomless pancakes, bottomless mimosas, bottomless Bloody Mary's, bottomless Hoegaarden. Every Saturday on the rooftop at Prince Alfred. THINGS THAT WILL BE BOTTOMLESS Pancakes Mimosas ..
BURGER OF THE YEAR The winner of the 2018 Burger Of The Year: Pumphouse Burger - St Andrews Hotel Presented at the 2018 AHA Vic State Awards for Excellence. Pop in and try it for yourself - ..
YOU + YOUR MYSTERY BOTTLE v's THE EVERLEIGH BARTENDER Introducing BYO? : Challenge The Bartender, a new monthly event unique to The Everleigh and the first of its kind in Melbourne. In a throwb ..
Melbourne is obsessed with coffee and has the most cafes and restaurants per person than any other city in the world! This 2-3 hour walking tour takes you to places that really care about the orig ..
Friday, May 10, 2019 Bensons on Martin 146-148 Martin street, Brighton Have your Tarot Cards reading, Mediumship, Palm reading, Gypsy Card reading or Clairvoyancy while enjoying a 5 star 4 cours .. 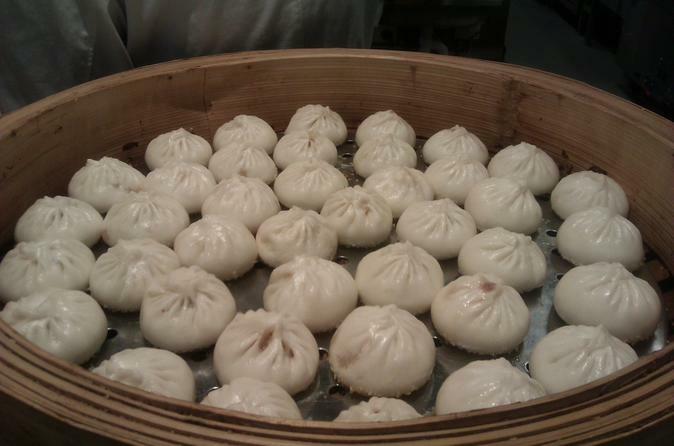 Discover the best dumplings in Melbourne's Chinatown on a walking tour with an expert guide. Sample a variety of delicious dumplings at four different restaurants while hearing about Melbourne's h ..
Bring the family together for a Melbourne Easter Brunch in Sirocco Restaurant on Easter Sunday. Enjoy iconic brunch items with a modern twist: scrambled eggs with chorizo, mushroom and polenta bake an .. It's an indulgent affair this Easter at Stamford Plaza Melbourne! Spoil yourself and your family with a seafood high tea starring the freshest ingredients from land and sea this Easter weekend. .. It's an indulgent affair this Easter at Stamford Plaza Melbourne! Spoil yourself and your family with a seafood high tea starring the freshest ingredients from land and sea this Easter weekend. Join us at Supersmall for Bottomless Cocktails or Bottomless Beers! Because one is never enough! You can enjoy 2 hours endless refills from 6-8pm or 8:30-10:30pm! Cocktails to choose from: - Es ..
Get all the footy action in the heart of Prahran. Watch the ANZAC Day clash live + loud on our screens. First 50 covers booked will score a free pot! Open from 12pm. Booking a table no ..
Be in the thick of the action at Richmond Club Hotel as Essendon take on Collingwood at the 'G. Our doors open to all three levels including the rooftop at 12pm. Game live + loud on all screen ..
Wednesday nights: 5pm - 10pm. Brand new to the Queen Vic Market, the Europa Night Market brings your favourite European street eats to Melbourne's most iconic sheds for an exclusive five-week seas ..
Friday Night Tasting at Mr West Bar & Bottleshop Footscray How many different flavours of gin can you handle? Or how about a selection of our favourite natural wines? Maybe a brand new beer from a .. Date: Thursday 2nd May Time: 6.30pm - 8pm Ziggys Eatery | South Melbourne Ziggy's is launching its second series of Froth Sessions with the one and only award winning BALTER BEER. Join us ..
DIESEL IS EXCITED TO LAUNCH A NEW CBD DESTINATION FOR AFTER WORK DRINKS & GATHERINGS! After work drinks just got a whole lot better in Melbourne's CBD as we launch G&T Thursdays from Thursday 18th ..
MAY 10 - 19 2019, MELBOURNE, AUSTRALIA GOOD BEER WEEK IS "THE BEST BEER WEEK IN THE WORLD", ACCORDING TO MANY OF THE WORLD'S LEADING CRAFT BREWERS. In just 9 years, it has grown from the spark ..
Good Food Month presented by Citi returns to Melbourne this June with incredible feature events. We invite you to join us as we embark on an exquisite culinary journey throughout the month that wil ..
4 – 5 MAY 2019 HALLS GAP WINE, FOOD & MUSIC FESTIVAL IN THE GRAMPIANS, VICTORIA Rediscover the majesty of the Grampians and make the journey to the heart of Halls Gap for a festival of reg ..
Melbourne's best traditional GREEK night with live music, entertainment, dancing and Mediterranean cuisine. Saturday night is our Greek tavern night. You will enjoy live Greek music as well as int ..
Hank Marvin Food Trucks Dendy Park, Brighton East Every Sunday Bringing together some of Melbourne's most celebrated food trucks, including Hammer & Tong, Hoy Pinoy and The Little Mushroom Co., ..
Hank Marvin Food Trucks Alma Park East | 204 Dandenong Rd Every Saturday Bringing together some of Melbourne's most celebrated food trucks, including Hammer & Tong, Hoy Pinoy and The Little Mus .. Hang out with the 'cool' crowd at Ice Bar Melbourne and experience sub-zero temperatures as you quench your thirst with sublime cocktails in a bar made entirely of ice. It's a winter wonderland of .. In case any of us needed an excuse to eat a burger, Melbourne's best burger joints are celebrating National Hamburger Day on Tuesday 28 May 2019, with a flurry of deliciousness. Let's face it, the .. It's Yum Cha... with Italian Food | A Celebration of the two greatest cuisines THE GRAND'S BEAUTIFUL ITALIAN FOOD SERVED YUM CHA STYLE One weekend a month The Grand's chefs hat kitchen will ..
Melbourne never sleeps and neither do Melburnian's. Looking for something to eat in the wee hours? Some of Melbourne's restaurants and bars are best visited well after dark. Whether you're in .. This Easter we invite you and your family to our wonderful world of the Bonkers and Brilliant Mad Hatter's High Tea at Stamford Plaza Melbourne hotel. Join us at the Mad Hatter's table as he once a ..
School Holidays Medieval Feast Dinner Bring the family along to enjoy a scrumptious four-course medieval feast at a real castle! Amongst an array of culinary delights including feasting platte .. Check out where Melbourne is eating. Special dinners, new restaurants, hot new dishes and trends. Melbourne's BEST eats, events & restaurants. Dinners, eateries, foodies fun places to eat in ..
Spoil mum with Breakfast or High Tea for Mother's Day at Werribee Open Range Zoo! Breakfast Enjoy a special breakfast and a wonderful day out at Werribee Open Range Zoo for Mother's Day this yea ..
HELLO MUM - SPECIAL SET MENU $49 p/p with glass of sparkling wine. Join us at Alibi Kitchen and Bar this Mother's Day to celebrate all the amazing and wonderful things our mum's do for us and enjoy ..
On Saturday May 4th, a 4 piece ensemble from The Melbourne Symphony Orchestra will perform at TarraWarra Estate for a one-night-only twilight dinner in the heart of the Yarra Valley. The evening wi ..
Join us for an intriguing night of murder, mystery and suspense aboard Puffing Billy's evening train special. Dress to the 1920s and 1930s era to go in the draw to win a prize! 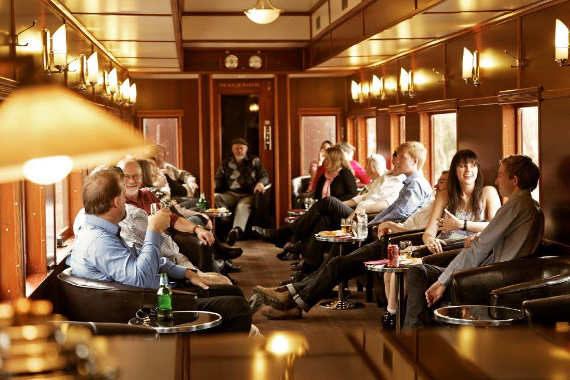 The Train departs f ..
Each year we eagerly anticipate the release of our new vintage wines. This is a time for us to reflect on the vintages past - the seasonal challenges and the fun along the way. We share with y ..
Ring in the New Year on a Yarra River cruise with outstanding views of Melbourne's midnight fireworks display. Feast on delicious finger food and drinks all night long, dance as a live DJ spins yo ..
Now Boarding - Melbourne's most iconic rooftop Boardroom We are pleased to introduce Only Melbourne to NowBoarding - nestled amongst the industrial rooftops five floors above the street is our very .. Taste & sip your way through Melbourne as you indulge in one of Melbourne's mouth-watering, delectable and delicious foodie precincts. Be 'wowed' by Melbourne's charm and hospitality excellence as ..
Labor Day Weekend Sunday annually in March at Flinders Foreshore Peninsula Piers and Pinots will be held on 8 March 2020 at Flinders Foreshore from 12pm-3pm. 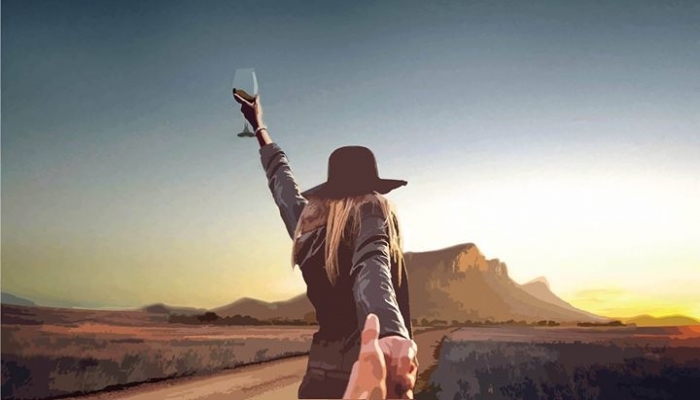 Around twenty Mornington Peninsul ..
250 wines, 100+ wineries, 14 cities, 6 countries The World's Biggest Pinot Noir Festival 5 October 2019 Royal Exhibition Building A Touring Pinot Noir Festival Stop looking for a rockin .. The Portarlington Mussel Festival is held in the picturesque village of Portarlington on the Bellarine Peninsula. The 14th annual Portarlington Mussel Festival is on Saturday January 11th 2020. .. The Portarlington Mussel Festival is held in the picturesque village of Portarlington on the Bellarine Peninsula. The 14th annual Portarlington Mussel Festival is on Saturday January 11th 2020. Heading to one of the great comedy shows coming to Melbourne? As an official drinking and dining partner of the Melbourne International Comedy Festival, Garden State Hotel are offering ticketholde ..
Set on the Melbourne Central rooftop, Reunion Island Pool Club is a sprawling, open-air sanctuary of palms, plunge pools, recreation, wining and dining. An Australian first, Reunion Island Pool Cl ..
We're offering a day on the Bellarine that you'll never forget. 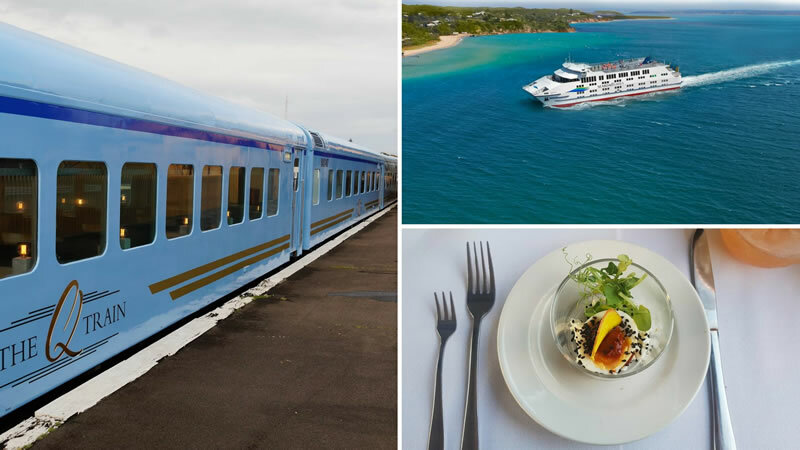 Depart Docklands or Sorrento for a Thursday lunch experience that showcases the best of the Bellarine. The Q Train, Port Phillip ..
Sunday's call for long leisurely afternoons, Riverside, dressed to the nines, catching up with close friends, over an extravagant feast. If you're a strong advocate for what's probably the laziest ..
From Wednesday 24th - Sunday 28th April, more than 40 food trucks will be stationed in the heart of Melbourne's CBD, right next to the Yarra, serving up an unrivalled selection of gourmet delights. ..
From Wednesday 24th - Sunday 28th April, more than 40 food trucks will be stationed in the heart of Melbourne's CBD, right next to the Yarra, serving up an unrivalled selection of gourmet delights. Think you're a foodie? Do your travel plans lead to your best gourmand adventures? Are you torn by delicious culinary choices? If your answers are 'yes', then why not kick off with the 'Bucket .. 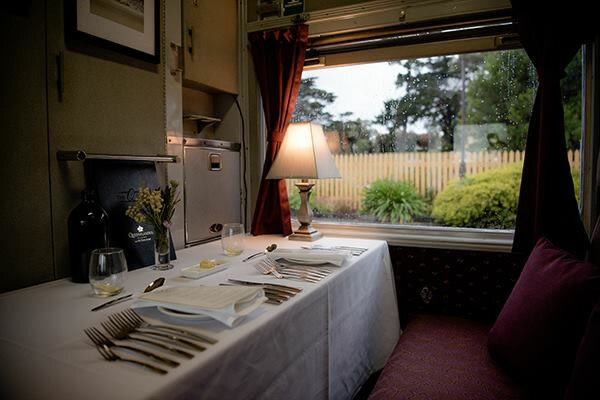 The Q Train is a restaurant that travels along the historic Bellarine Railway between Drysdale and Queenscliff. The train usually departs from, and returns to, Drysdale Station, just an easy 15-mi ..
Come to our spellbinding new show which is sure to have you in stitches!! Witches in Britches Theatre Restaurant | West Melbourne Prepare yourself for Melbourne's most wicked night out! 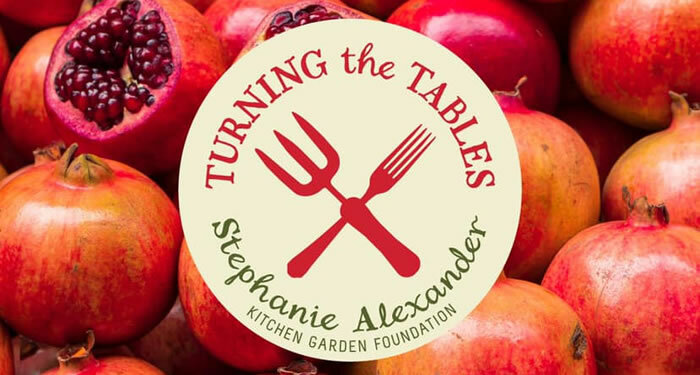 For th ..
April 1 - 30, in support of the Stephanie Alexander Kitchen Garden Foundation. From 1-30 April 2019, restaurants, cafés, food retailers, and producers will join the Stephanie Alexander Kitchen Gar .. Gin lovers of the world rejoice as World Gin Day returns for its ELEVENTH year on Saturday 8 June 2019! World Gin Day is a global celebration of all things gin, on the second Saturday in June orga ..